Happy Healthy Vegan Friday! My co-host Kimmy and I are hoping that there will be more Halloween-themed recipes in the next couple of weeks for us to try out. Kimmy has also lined up a giveaway for you for next week, so make sure to come back! She did it again. She might possibly be the most popular healthy vegan friday participant. Everyone loves her recipes! If I had been making this recipe a week ago, I would have omitted the chia seeds. I hate them. I am a chia seed hater (I can see people unfollowing my blog as they read this). I don’t dislike them for their taste, because I don’t really think they taste like much. I hate them for their gross slimy consistency and their ability to get stuck in my teeth so good that swishing, rinsing, and even sometimes vigorous brushing cannot dislodge them to save a life. However, last weekend, I sent Isabelle into Jamba Juice to order the Great Greens juice for me that I always get, but I forgot to tell her to omit the chia. I forgot until I had already drank the entire thing!!! Apparently, you can’t even tell that chia is in something when it’s all blended up! Brilliant! So, make this smoothie, and don’t omit a single thing. It’s gluten-free and season-appropriate! I bet you can sub the apples for persimmons in a few weeks too! Figs are so good for you. I have a wild fig tree growing in the empty lot by my house. It was so prolific for a few weeks and now it’s bone dry like an Ansel Adams print. I wonder if figs are still in season where Chitra lives. I can’t believe the homemade pepperoni from My Blissful Journey didn’t win! I totally want to try making this! This week, in lieu of submitting a recipe, I will be sharing with you my quick story from VegFest last weekend. This was my first time using Storehouse, so I’m kind of a newb, but if you have any advice for me on how to make better stories, please let me know. Kimmy did a writeup on her blog about it which features an outtake of me that should have been deleted, haha. Here’s a picture that did make the cut. 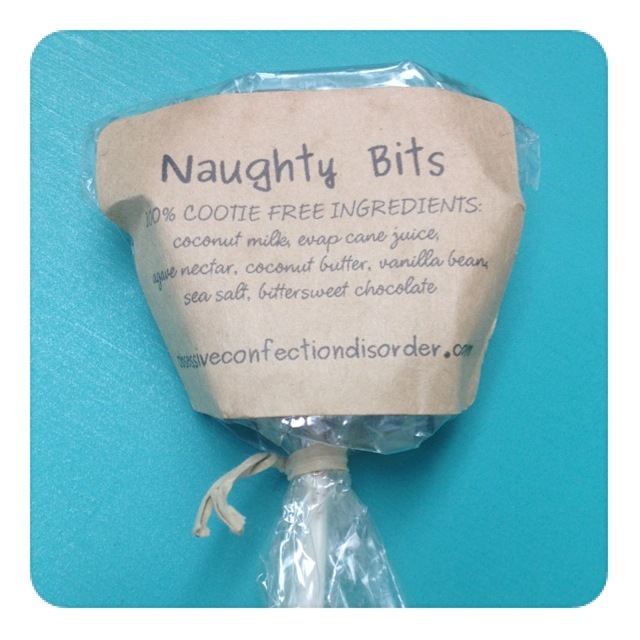 It’s from OCD, a local vegan candy maker, and it’s a chocolate covered caramel lollipop. Yes, you heard me correctly! Alright, let’s see what healthy vegan recipes you all have this week! 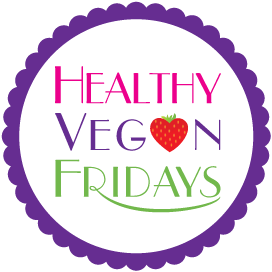 Use the link below to submit your vegan blog post to Healthy Vegan Fridays.